P.S This is my (kind of mine :P) 200th post! Wish I was here to celebrate with you all! I bet you are all jumping in your seats to find out who is your next featured blogger no? Well, wait no longer because it is the utterly fantastic Carolyn @ Food Is My Happy Place! 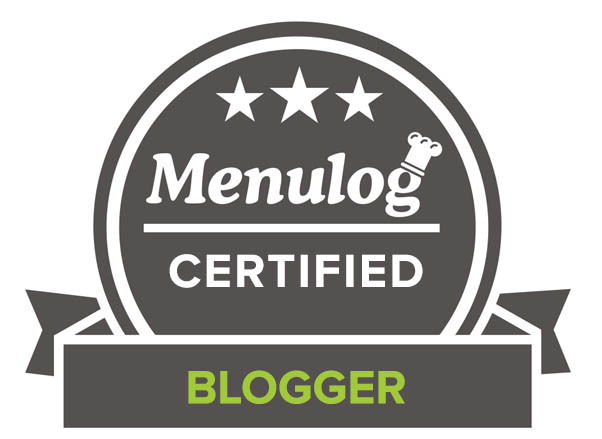 A simply wonderful chef and restaurant reviewer with a gorgeous personality to match, you would not want to miss out on her blog! Ladies and gents, I present Carolyn… 🙂 Enjoy! I’m Carolyn, an Australian living in Singapore where eating seems to be a national pastime (how cool is that!) – which means I’m pretty much at my happiest. I’m a big fan of Choc Chip Uru’s site because I love baking too. I love the smell that comes from the oven and freshly baked anything is pretty hard to beat. So on to the food, some good friends made this dessert, which I am going to guest post today, one night many years ago at a dinner party, and it never fails to amaze me at how something so simple can look so impressive and taste so good. You can also substitute with the fruit of your choice – I’ve used cherries or even thinly sliced pear or apple. This looks simple and beautiful. Love blueberries! what a dynamite way to use puff pastry! i love the big, juicy berries. congrats on 200 posts! ‘I find it wonderfully comforting to spend time with food’ ~ I know what you mean, Carolyn. It’s not just the cooking or the eating. It’s the spending time with food! Lovely, simple recipe. 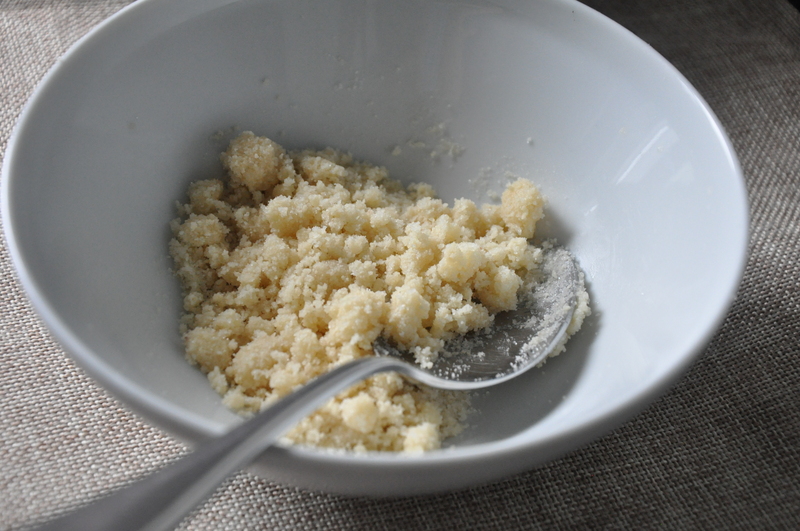 I’m learning to love almond flour. What a fab looking tart – and anything with fresh berries has my heart. Wonderful post! This tart looks so simple yet so delicious. I love blueberries and definitely like desserts where you can still savor their flavors. Brilliant guest post 🙂 This tart is fabulous! I can’t afford blueberries but I could rock a mango tart like its going out of style! Beautiful tart! 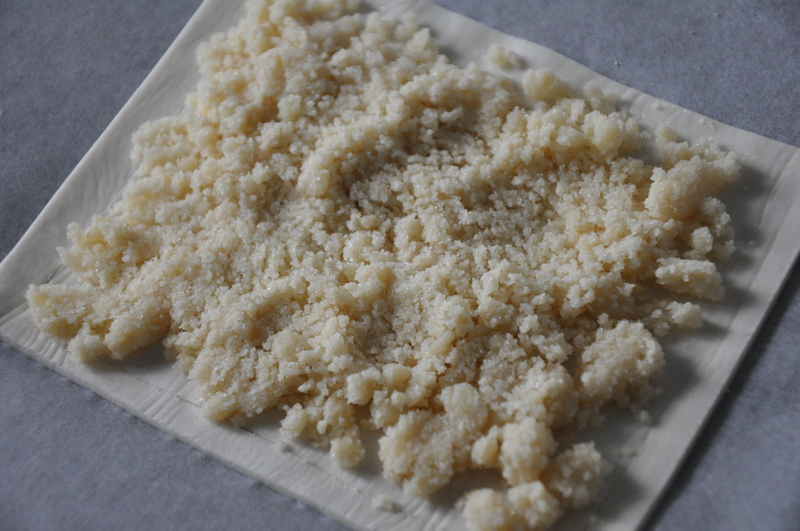 I love that it has both the pastry and the almond crumbly part! Everything about this sounds like something I would love. I need to try it out this weekend. Another amazing dessert! Love the simplicity and rustic appeal. These are the comfort treats I adore!! Gorgeous Tart! Your guest posts have been incredible! Good luck with your studies. This is gorgeous! I keep forgetting about blueberries, I don’t know why.. I must make something again with them soon. This tart seems so dainty but I love how truly easy it is to throw together! Perfection. This looks wonderful. I’d best hop over to her blog and check it out! The simply tart will be great with the wild blueberries that are in season right now. Another great guest you have over here my dear. Love this simple yet tasty tart. Congrats on #200. Good luck–I know you’ll kill it! What a gorgeous tart! This lover of blueberries wishes she could have a giant slice right now! Living in Singapore – how exciting 🙂 and lucky for you they have puff pastry available – yum! 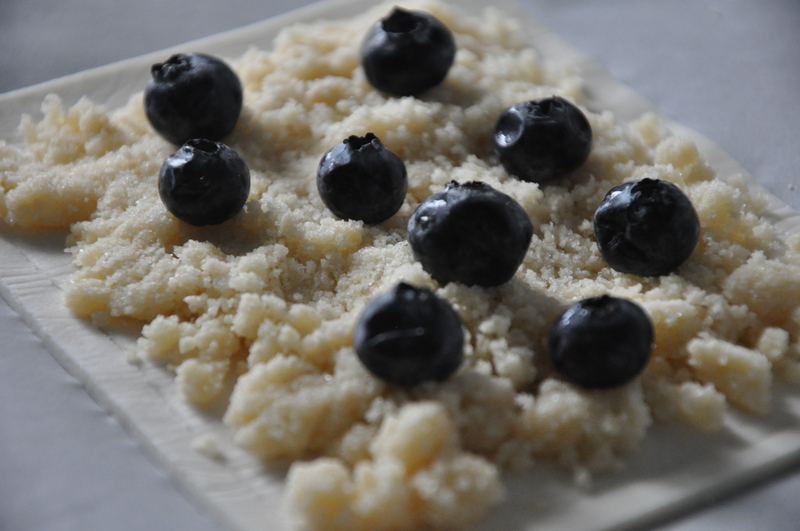 The recipe looks wonderful and you use my all time favorite berry – Mr. Blueberry! Perfect. such a beautiful and simple recipe – love the idea of using pears in place of blueberries! The smell that comes from the oven is the best, and this tart looks amazing. This looks delicious! For me, any dessert with fruit in it is a winner. Lovely guest post with a rustic blueberry tart. Yummy! I like because it’s so easy and I am sure delicious! Beautiful, mouth-watering blueberry tart, Carolyn! You have picked some fantastic guest posters, Uru! Congrats on your ‘sort of’ 200th post 😉 I hope your studies are going well, cutie! well done on the milestone! Congrats on your 200th post, Uru!!! What a delicious looking tart and so easy to make! Nice to meet you Carolyn. Wow … I manage to get into one of your posts – 3 posts has come up as – page not be found. Wonderful to be back – in here with all the calories – this I can do … ready puff pastry – you are brilliant. So this goes on file. Congratulations on your 200th post! This puff pastry tart looks really scrumptious! Hi Carolyn and Uru! I love puff pastry baking (that’s my kind of baking at this point) and this blueberry tart looks so easy even to me! I would love to try this out while blueberries are in season. The first picture makes my mouth water and wish I have at least one piece for my coffee right now!! Congratulations on your 200th post…WOW! Congrats on your 200th post 🙂 The blueberry tart looks amazing. I don’t think I’d change a thing, except to have it in front of me right now! Also this tart looks great! Such a nice showcase for delicious baked blueberries! Carolyn, your post is amazing! Happy 200th post and thank you Carolyn for sharing this tart with us. It looks delicious. Congrats on 200th! And a great guest post to celebrate – I love blueberry anything! This looks terrific – thanks so much. what a great idea for a tart! looks delicious! Happy 200th Post, Uru! (It’s MORE than “kind of yours” — you’re a wonderful hostess for your guest posters!) This tart is so appealing and that almond filling is calling my name… rustic is GOOD! And I felt exactly the same for this gorgeous tart! Love this tart… it looks like something even I could make. 🙂 Well done! Good luck with your studies – almost there! What a lovely looking tart; rustic beauty indeed. Blueberries are just gorgeous right now. 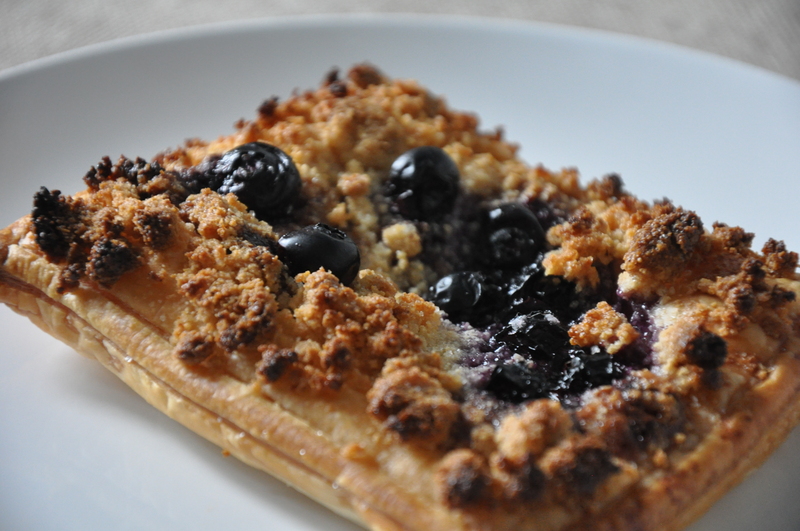 Wonderfully delicious looking tart…love anything with blueberries!! Lovely! Another great guest post and Amazing recipe,looks delicious ,thanks for sharing !! Congratulations! 200th post…definitely worth a celebration! The blueberry tart looks freaking good! Simple and love how the pastry was used for this tart. Brilliant idea and would love to try out and one of the best dessert I have discovered so far, you know I also like to bake but something easy and done with a wonderful outcome. Sounds delicious I love fruit tarts! Wow this blueberry tart looks divine! It’s a good thing blueberries can be rather cheap in Singapore so yes this looks like a great recipe for me to do! Thank you! Looks amazing!! So simple too! Wow, thanks Uru and Carolyn! Mmmm…yummy. I could already taste the blueberries and the brown sugar. Don’t ask! Active imagination here… Lol. I would love to make this one. So simple too. Thank you for sharing!!! hope your exams are going well uru! i am enjoying all these guest posts and it’s very nice to meet another foodie/blogger! Good luck with your tests! The blueberry tart looks divine! Does anyone know how to make gluten free puff pastry? I am loving the almond meal and blueberries in it. Thanks for the link. I will try it some day. This tart looks amazing! I think great minds think alike, because I literally just made some blueberry crumble bars, which have the same flavours going on. What a lovely tart! I can’t wait to try this because I adore blueberries! I love the simplicity of this tart, I’ll have to remember it because it is they type of recipe that you want in your back pocket when you are having company over unexpectedly, but you still want to impress them! What a gorgeous tart, looks delicious! oh what a delicious tart! Thanks so much my friend and glad you enjoyed this! And I am, so close to it all being over! I love blueberries. This looks wonderful! Love it! You have such good blog friends to come up with such scruptious treats. Yum! That looks mighty tasty! Beautiful! I almost always have a sheet or two of puff pastry on hand, just in case of “dessert emergencies.” This looks like a fantastic option that you could whip up in a flash! This looks wonderful – and just the right size! Lovely. Oh my, wish I had a slice! Beautiful Tart with blueberry love it.